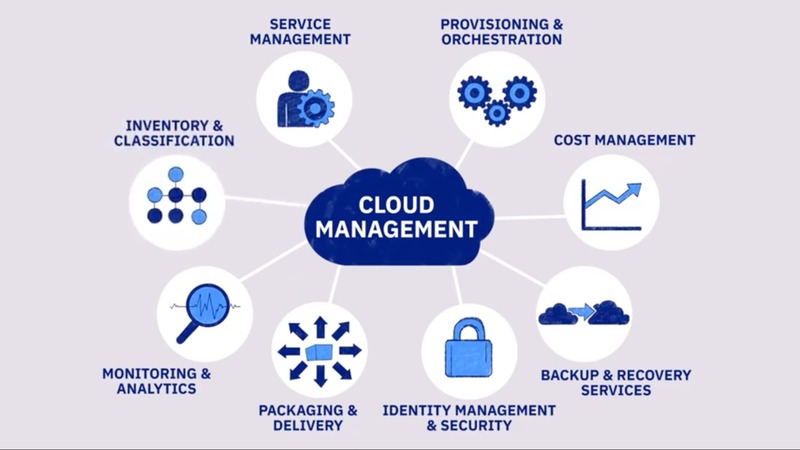 IBM brings together the needed cloud and service management capabilities into one common experience for users across the enterprise — creating a collaborative, self-service IT environment. This approach provides enterprises with an integrated, single management and operations experience that enables users to consume, orchestrate, and govern services. The three layers for modern architecture management include IBM and third-party best-of-breed tooling. Applications that provide digital service ordering, modern service management, and cost governance. An automation layer that enables services of different types, from different vendors to be delivered in an optimized manner and available to consumers. A layer that enables you to monitor and maintain systems, including legacy infrastructure, private cloud, public cloud and container environments. Quick and controlled access to AWS, Azure, Google, IBM, VMware cloud services from a single place. Integrates existing IT service management order tracking and approval workflows. Single integrated process to create solutions, estimate costs, place orders and provision services . Single interface Service Request through integration with ServiceNow. Deploy workloads, gain visibility to the pipeline, monitor health and manage container operations in support of Cloud. Access cloud solutions from AWS, Microsoft, Google, IBM, VMware, etc. Deploy in minutes, secure Kubernetes clusters for application environments on any cloud. Track performance and isolate issues in CI/CD pipelines across multiple applications and tools. Ensure performance and availability of digital services. Manage the capacity, performance, and availability of assets across the hybrid IT environment. Alerts about developing issues to enable action before the issues happen. Single interface visibility into current data center, multicloud and container operations health. AI to automatically discover events, run diagnostics and recommend actions. Establish and enforce governance control points using financial policies. Identify money-saving opportunities with predictive analytics. Visibility into costs and usage across cloud providers; with continuous tracking against budget thresholds. Tracks assets and tags them for consumption based on usage patterns. IBM's foundational data, automation and AI platform used by over 2,000 enterprise clients. Questions? Schedule a free consultation with an IBM multicloud expert.